Pedestrians on the sidewalk of Main Street, near the corner of Elliot Street in Brattleboro, in August 1941. Image courtesy of the Library of Congress, FSA/OWI Collection. The first photo does not show much of the surrounding streetscape, but several historic buildings are visible across the street. To the left of the lamppost is the stone building at 109-113 Main Street, which was built around 1850 and features an exterior facade that contrasts with the more conventional brick of the surrounding buildings. On the right side of the photo is the Union Block, which was built around 1861 and was evidently named in recognition of the patriotic sentiment at the start of the Civil War. Both of these stores housed discount department stores when the first photo was taken, with F. W. Woolworth on the left and M. H. Fishman on the right. 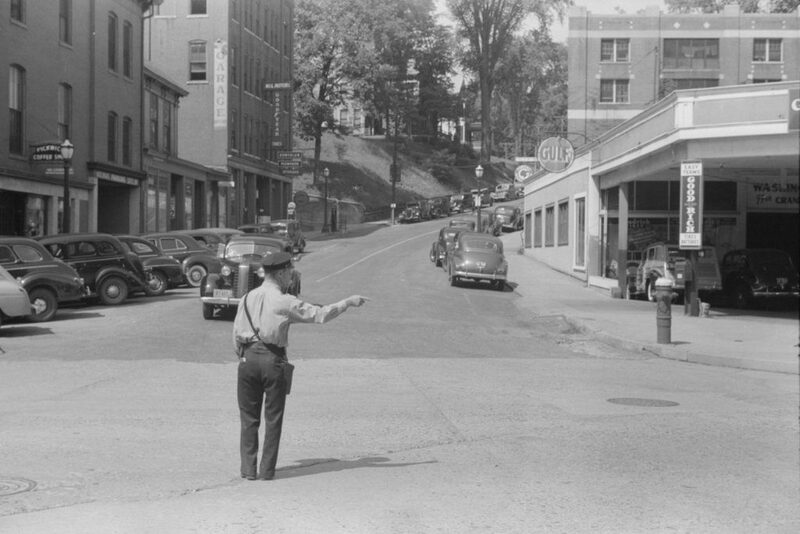 More than 75 years after the first photo was taken, this scene has not significantly changed. 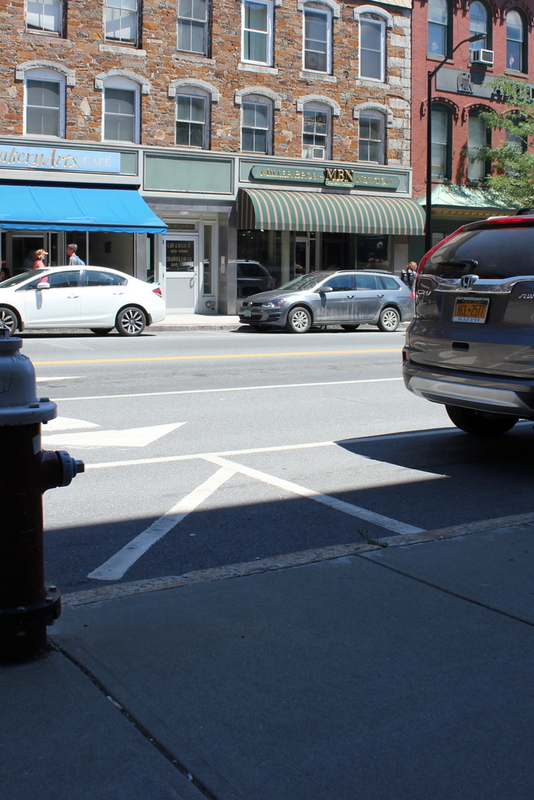 Most of the historic commercial blocks on Main Street are still standing, including the two in this scene, and even the present-day fire hydrant is still in the same location as the one in the first photo. 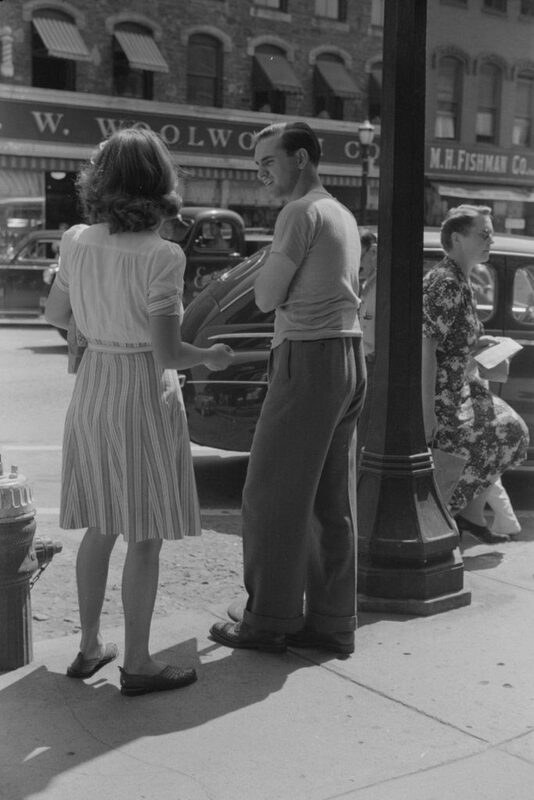 The only noticeable difference – aside from the modern cars – is the change in the businesses occupying the storefronts. The era of downtown department stores is long gone, and both Woolworth and Fishman have since gone out of business. 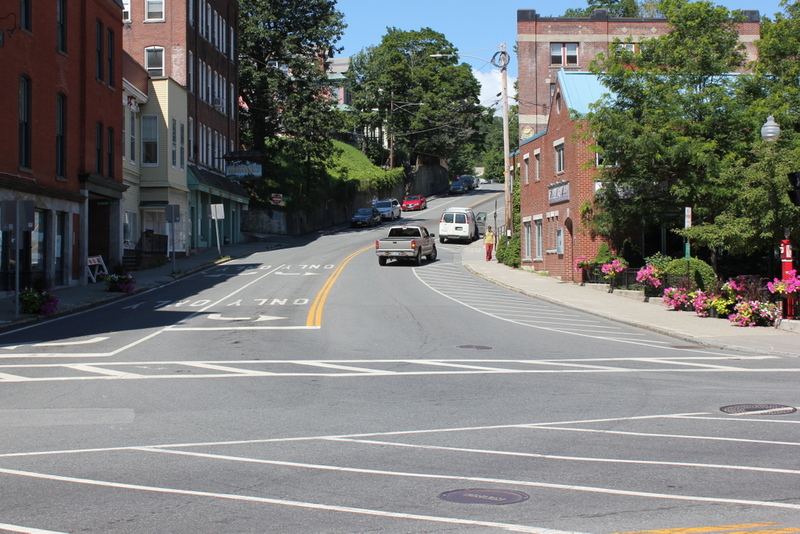 However, unlike many other downtowns, Brattleboro has managed to retain a thriving Main Street, and the storefronts here now house an eclectic mix of different businesses.